This is not only beautiful gift wrap that would make any gift just that little more special, it’s also made from soy inks and certified sustainable forests, and it’s made in Australia and it helps Koalas too! 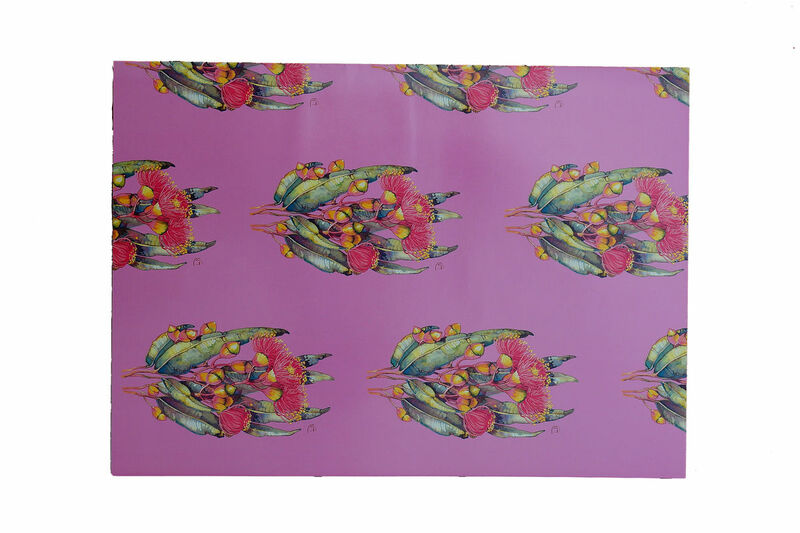 This beautiful gift wrapping paper features the stunning Gum Blossom, designed by the very talented Australian Artist, Lynn Naismith. Gum Blossom also known as Mulga Ironbark – colour explodes from the blossoms of Gum Trees and are very much a part of the Australian landscape. Gum Blossoms aren’t made up of petals but of stamens and there more than 900 species of Gum Blossoms throughout Australia.